The 22nd international exhibition “Transport and Logistics” and the first international conference “Transport and Logistics Market” where A & A Logistic held fruitful meetings with colleagues took place in Kazakhstan, in Astana. The company was represented by a member of the board of directors Georgy Monokandilos and leading specialists of the company. 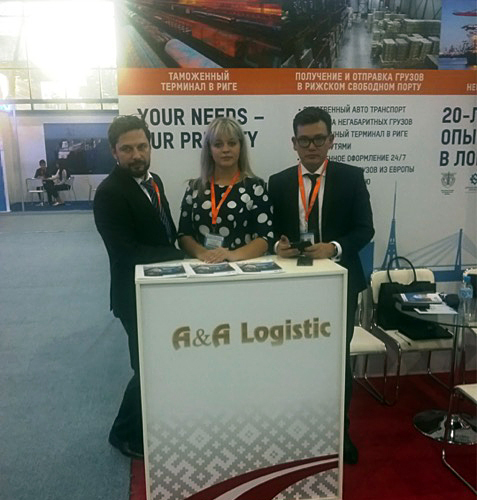 15th to 17th of November 2017 in Tashkent, Uzbekistan, an international transport and logistics exhibition TransUzbekistan – 2017 took place, in which SIA “A&A Logistic” was represented by the board member Kim Monokandiloss and logistics specialists A.Keiša and D.Kadikovs. A&A Logistic has successfully acquired business contacts for further cooperation with Uzbekistan and other countries. 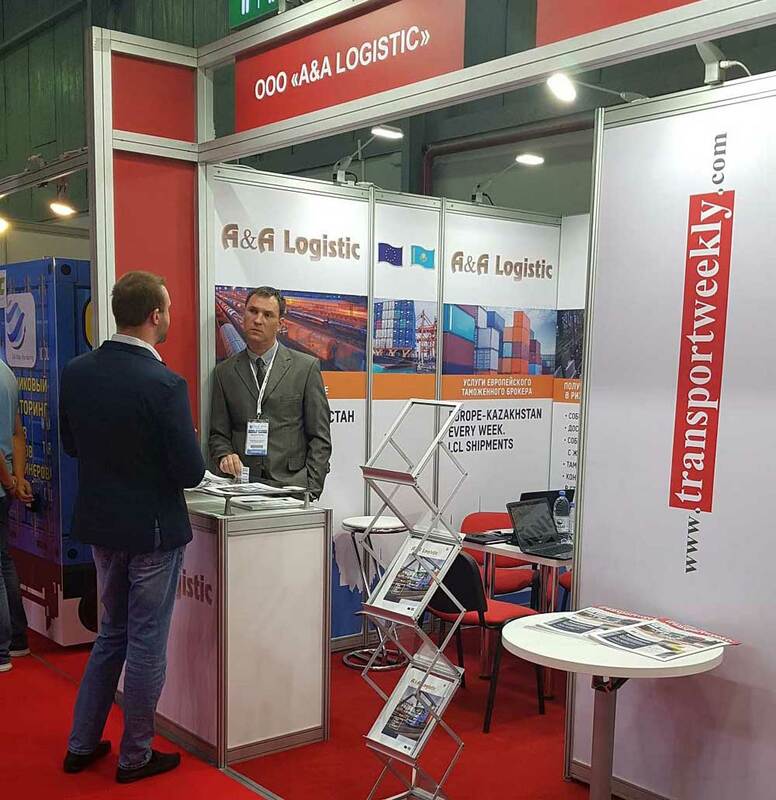 November 1-3, 2017, international transport and logistics exhibition TransKazakhstan / Translogistica took place in Kazakhstan, Astana, where A&A Logistic was represented by Georgy Monokandiloss, a board member and Denis Kadikov, logistics specialist. New container express: through Riga will pass 200 thousand containers! 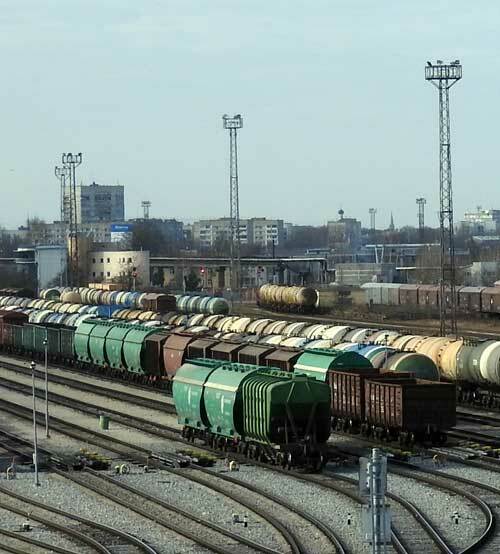 In October 2017, the first container train arrived in Riga with a destination for Rotterdam, which, by 2020, must transport 200,000 containers from northwest China to Europe. The start of negotiations on the route was given during the “Expo-2017” in Astana, and the launch button for the departure of the first train was pressed by the President of Latvia Raymond Vejonis. 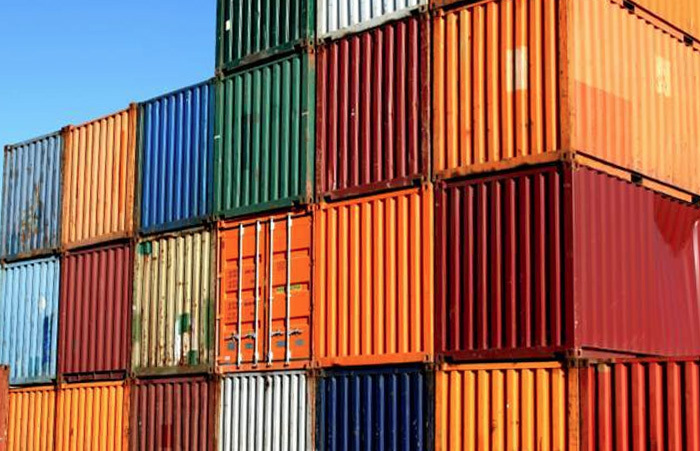 Never before has such a volume of containers in the Riga port been serviced. 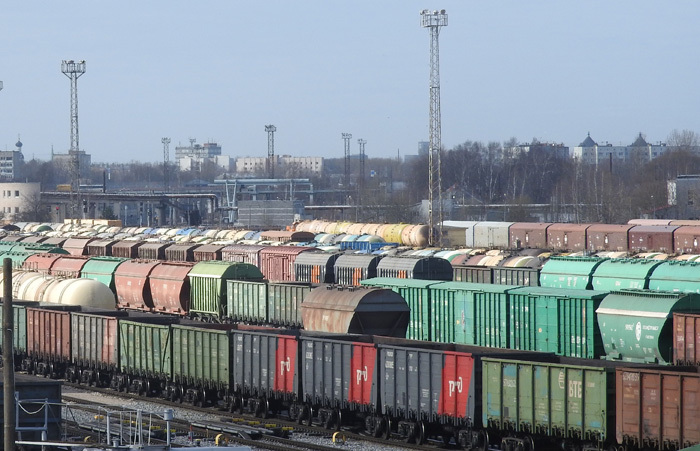 The import substitution program in Russia has changed the balance of freight flows in favor of exports and created a deficit of empty containers, which can be mitigated by the loading of goods supplied to the EEA, said A&A Logistic director Georgy Monokandilos. 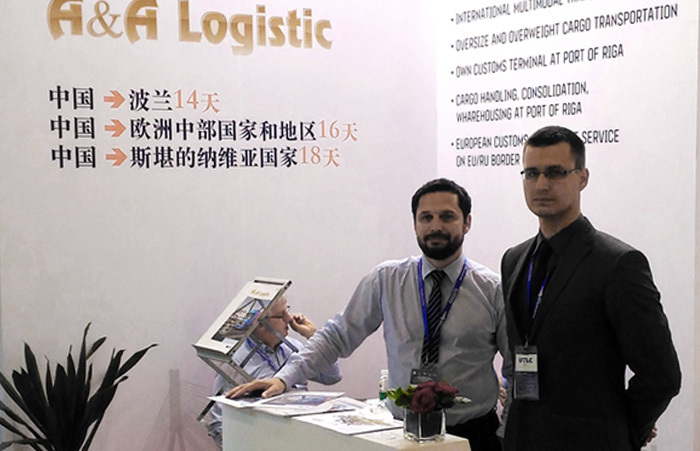 A&A Logistic took part in the international exhibition “China International Transportation and Logistics EXPO (CITLE) 2017”, which was held in Chengdu, China, from June 28 to June 30, 2017. Groupage cargoes from China to Riga for 14 days. 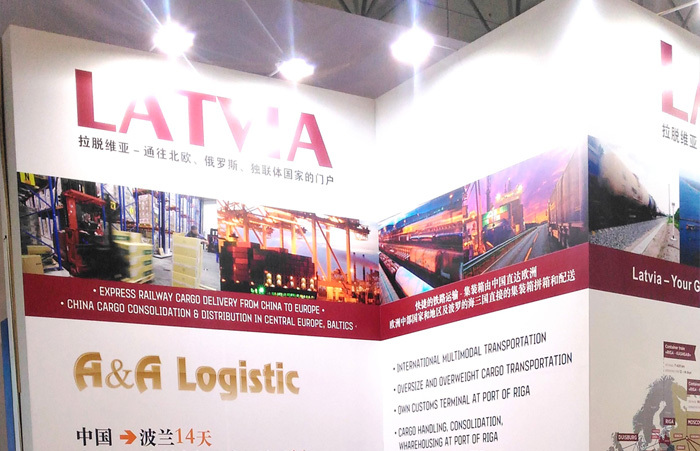 Latvian company A&A Logistic has opened a line for the delivery of assorted goods from China. Shipping from China can now take only two weeks. 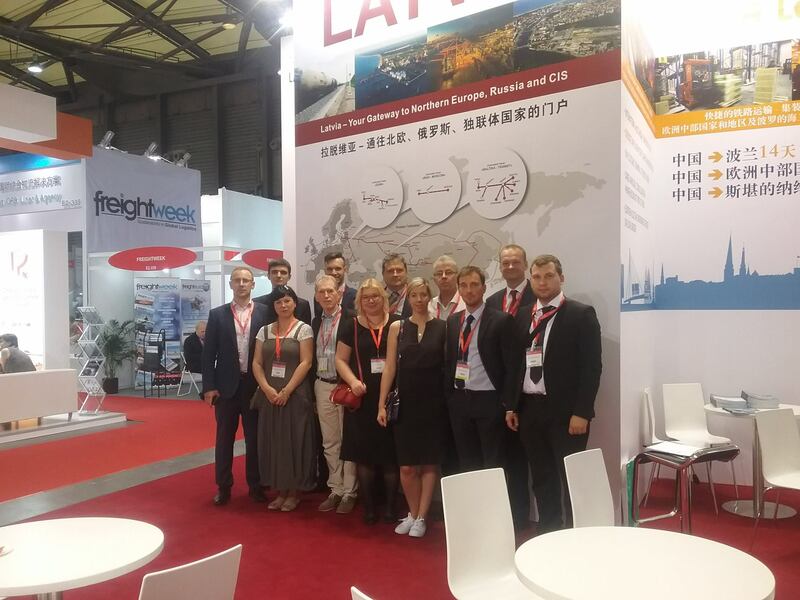 A&A Logistic took part in the international exhibition “China Central and Eastern European Countries Investment and Trade Expo”, which was held in Ningbo, China from June 9 to 12, 2017. 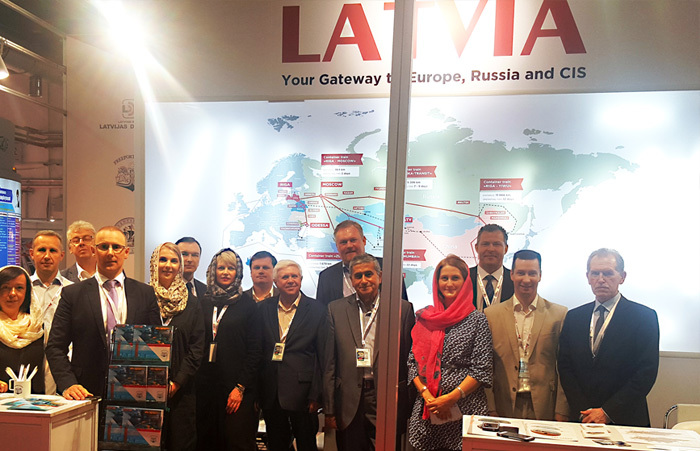 The Latvian Agency for Investment and Development organized a joint stand of Latvian companies. A & A Logistic took part in the international exhibition of transport and logistics services “Rail Iran”, which was held in Iran from May 15 to May 18, 2017. 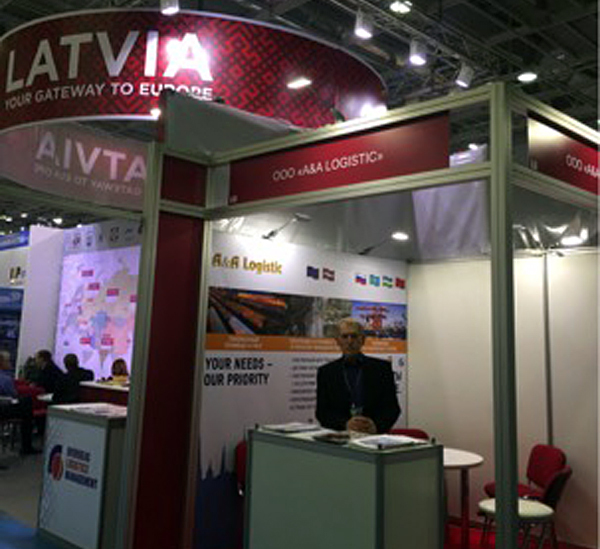 A & A Logistics took part in Logistics 2017 exhibition in Samara.